The event will mark the first time that the Championships will be held in Qatar, and the middle east – who will also be hosting the next World Cup in 2022. This year’s venue The Aspire Zone, also known as Doha Sport City, is a 250 hectare (2.5 square kilometres) sporting complex, located in Doha, Qatar. Held two years after the Olympic Games in Rio de Janeiro, the 2018 World Championships mark the halfway point in the Olympic quadrennium. Up for grabs will be 42 medals — six full sets for women and eight for men. For the first time in 44 years, the world championships two years before the Olympic Games will hand out Olympic berths; the gold, silver, and bronze-medal-winning teams in Doha will earn tickets to Tokyo for four gymnasts each. The past few months have seen gymnasts battle it out for berths to the World Championships by proving themselves at major national and international competitions throughout the summer. Two-time Olympic All-around champion Kohei Uchimua (Japan) claimed his ticket to Worlds by winning his 10th consecutive NHK Cup title, as did NHK runner-up Kenzo Shirari, the reigning World Champion on Floor Exercise and Vault. 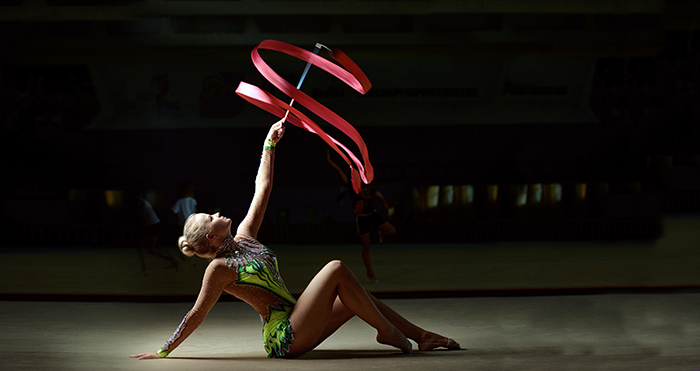 The World Artistic Gymnastic Champions are the world championships for artistic gymnastics. The first edition of the championship was held in 1903, exclusively for male gymnasts. Since the tenth edition of the tournament, in 1934, women’s events are help together with men’s events. As of 2017, over sixty different editions of the championships have been staged, and over forty different countries have earned medals. The most successful nation, both in gold medal results and total number of medals, is the Soviet Union. China is the second most successful country in total medals earned, and Japan is the third most successful. Russia, Romania and the United Stated are also usually among the most dominant nations, especially in women’s artistic gymnastics events. Representing Great Britain, Max Whitlock MBE is expected to be among the stars on parade, despite failing to reach the podium in Glasgow earlier this year. The 25-year-old, who ended Britain’s 120year wait for an Olympic gymnastics gold medal by winning the floor and pommel horse at 2016 Games, will be keen to regain form ahead of the Doha Worlds.